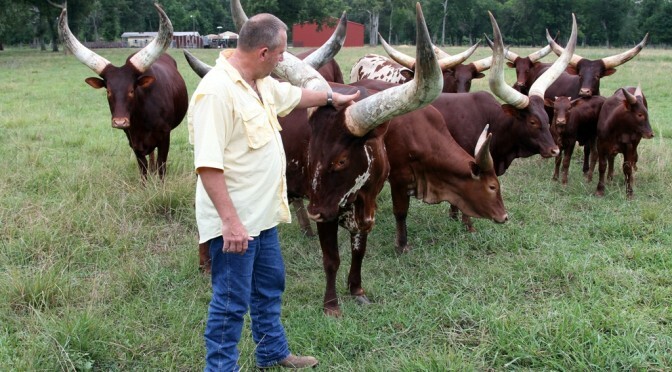 This bull speaks for himself. 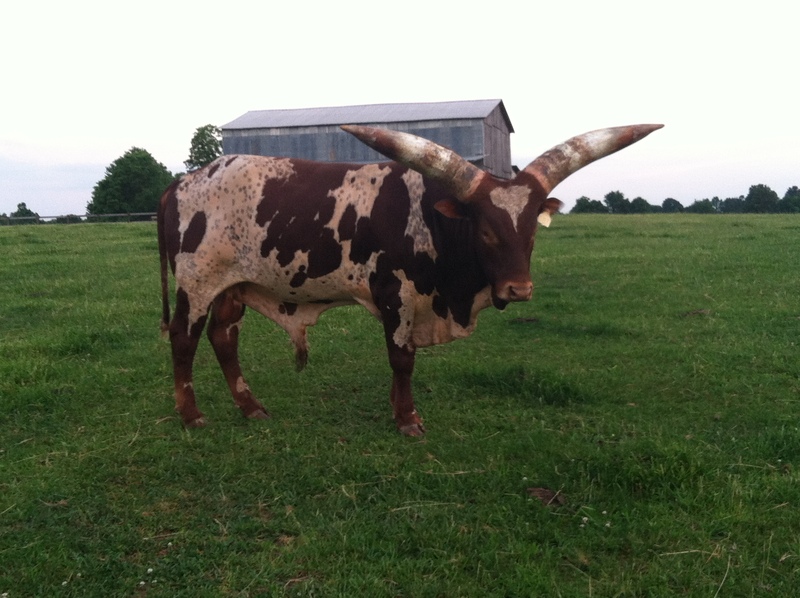 He was bred, raised and utilized by the J Heart Farm in Water Valley, KY. 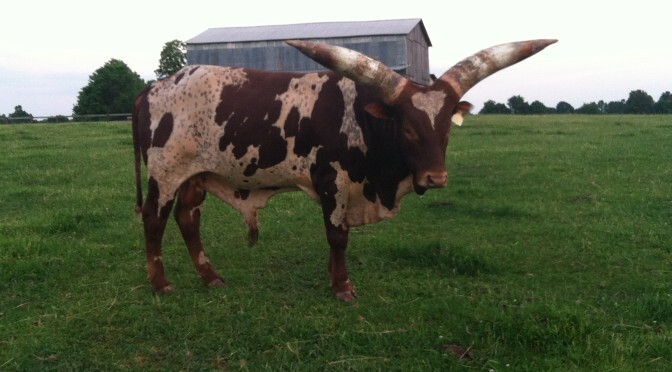 This bull is the result of the crossing a several old and famous bloodlines and is a great representation of both. Editor: This was from 2012, we apparently buried it. Sorry Rodney. 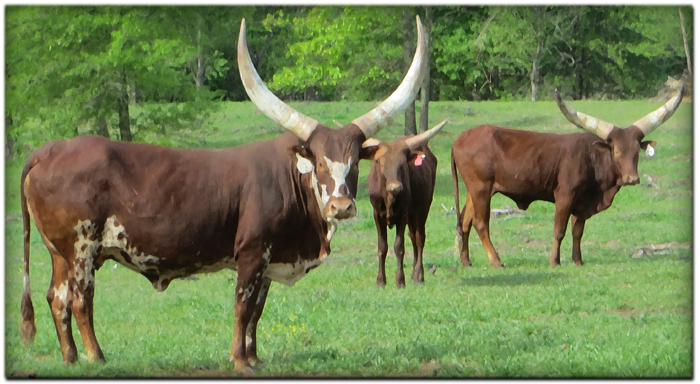 This young Foundation Pure bull is the new herdsire for Ross Ranch Horns in Texas. Richard and Pam Jackson, owners and operators of J Heart Farms in Water Valley, Kentucky sent in photos to share of some of their great dams. 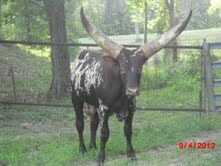 J Heart has concentrated on color and horn, it shows. Contact them by email here. 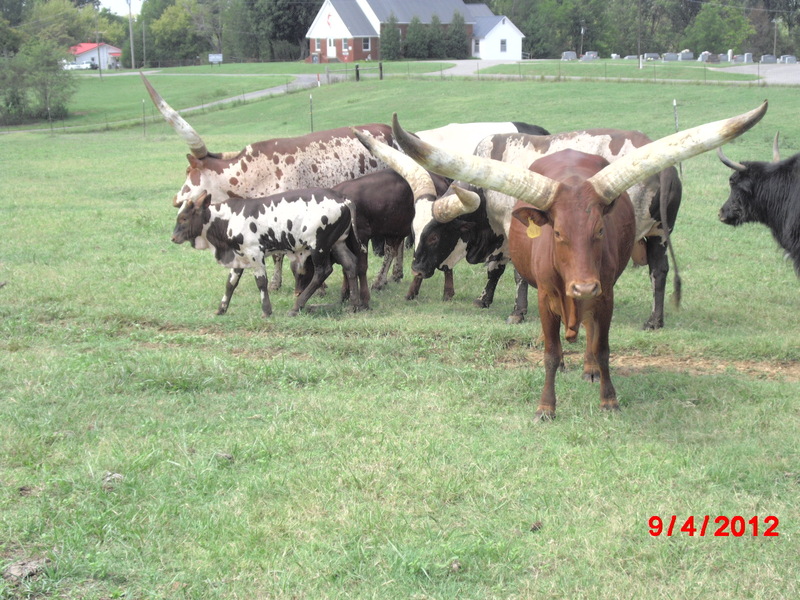 Garret Judd of Judd Watusi Farm in Edmondton, Kentucky shared some photos of his herd. 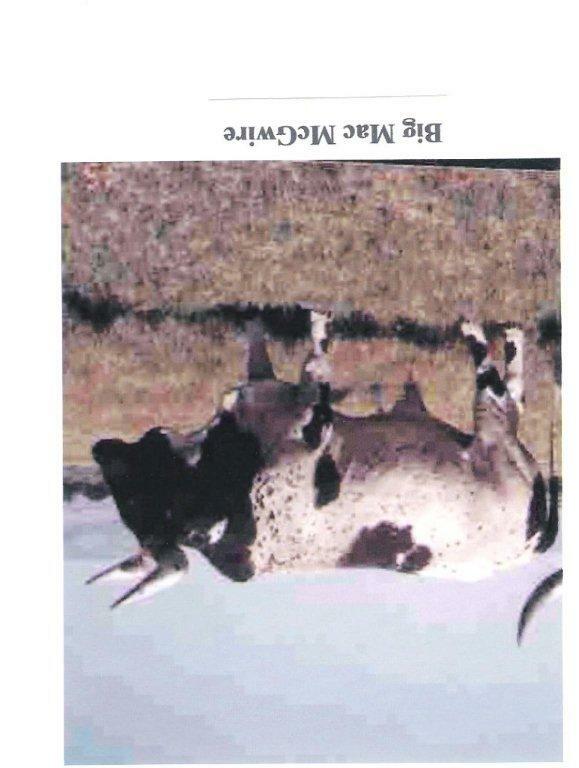 Visit him online at http://www.juddwatusi.com/. 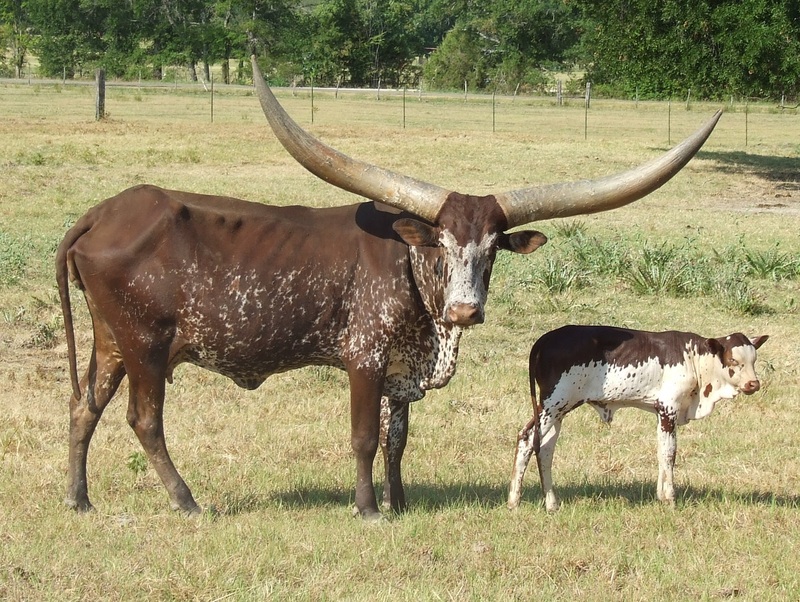 Watusi are registered in multiple percentages from half blood up to foundation pure. 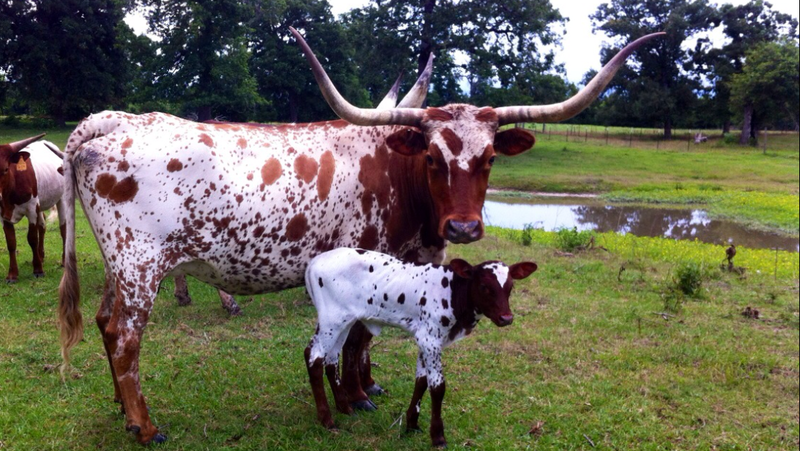 This example from Will Ross of Ross Ranch Horns shows off one of his newest 1/2 blood heifers out of one of his longhorn cows and the foundation pure Watusi bull BWS Captain Butler. Will calls his babies Long-tusi. If you like color, percentage may be the way to go. Contact Will Ross by email here or by visiting his website here. 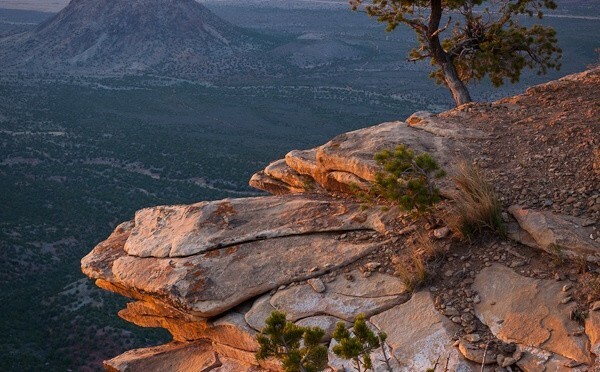 This beautiful photo is shared by Lazy B Farm on their newly designed website. I regret to inform everyone that Princess Hillary has passed away. She died Friday 1-11-12 at 18 years and 2 months old at my place in East Texas. 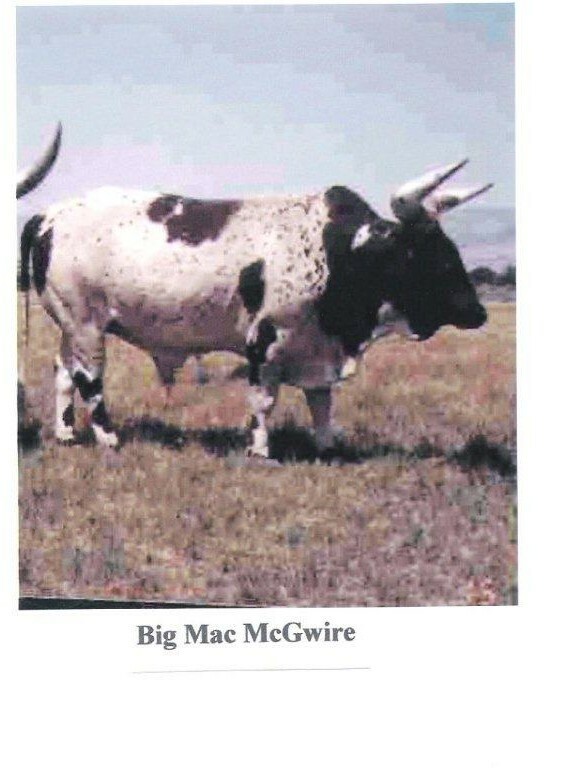 I’m sure most of you are familiar with this great cow as she has calves from Texas to Canada and in between. 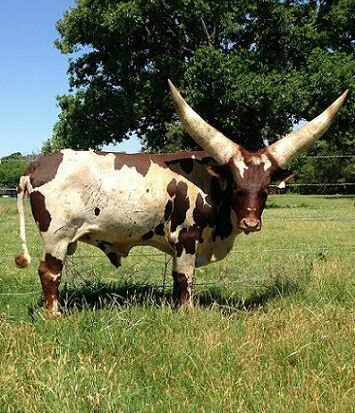 From what I’ve learned in my short time dealing with Watusi, I think it’s safe to say she positively impacted the breed with great magnitude. Her last calf born was a heifer calf and is currently happily eating hay in my pasture. It was a sad day at the ranch and she will be missed. Her loud unique bellow will only be heard on YouTube from now on. I hope all is well and that you’re all having a great new year.